Avondale Mercantile, a program of Workshops, Inc., announces a new line of products, just in time for the 2018 Holiday season. The products, 5 natural sprays, are made with essential oils and are designed to improve your environment. Two of the sprays are linen and room sprays. One is Energizing, with a bright, citrus scent. The other is Relaxing, with calming lavender. 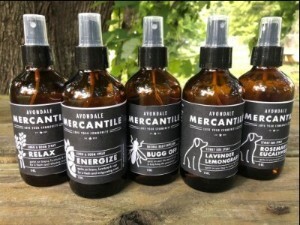 Two sprays are to help make your best friend easier to be around - they are sprays for stinky dogs! One is Lavender and Lemongrass scented; the other is Rosemary Eucalyptus. Finally, what everyone who loves the outdoors but hates being besieged by mosquitoes and other flying foes - bug spray! The active ingredient in our spray is more effective than deet, but is natural, smells pleasant, and doesn't make your skin feel sticky. Look for our products in your local gift stores, or send an email to info@workshopsinc.org to find out how to get yours. Products produced by Avondale Mercantile are made by people with disabilities and other barriers to employment right in the heart of Avondale, Alabama.Your purchase provides job training and ongoing employment opportunities for the people we serve. 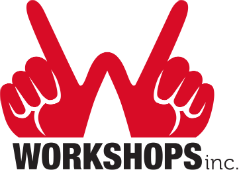 Since 1900, Workshops, Inc. has provided job training and employment opportunities by doing work for other businesses. Avondale Mercantile is the next step in the evolution of Workshops, Inc. and allows us to produce our own products to sell in the community. We will always be there to serve the Greater Birmingham business community with business solutions. But we also recognize the value of having our own brand and product line. Our vision is that Avondale Mercantile becomes a recognized, trusted brand name for a variety of products made right here in Birmingham.